Danish artist Torben Eskerod offers a meditation on the role of photography in the persistence of memory with his evocative body of work, Campo Verano. Named after Rome's largest cemetery, Eskerod's series gracefully reinterprets small photographic portraits affixed to tombstones he encountered amongst the many gravesites there. Such photographs were originally placed on grave markers to help the living to remember the dead. Yet it becomes clear in Eskerod's project how the passing of time substantially alters these not-so delicate memorials. Many are cracked or chipped, and others have begun fading away. Some have deteriorated so greatly that faces are unrecognizable or simply nonexistent. 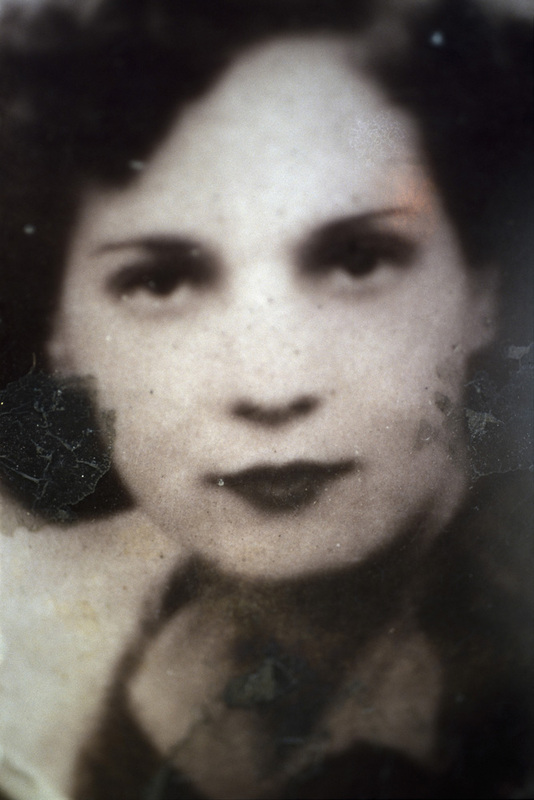 With Campo Verano, Eskerod's reinterpretation and recollection of these portraits can be seen as a contribution to a new form of memory— a memory challenging both the decay of the picture and the gradual disappearance of individual memories. Eskerod will also discuss "Campo Verano" as part of an artist talk onSaturday, December 4, at 3:00 PM.Born in 1960, Torben Eskerod lives and works in Copenhagen. He has exhibited widely in the US and Europe, most recently at Denmark's LouisianaMuseum of Modern Art, Museum of National History, and The Karen Blixen Museum. Eskerod's work has been included in numerous books and exhibition catalogues, and is represented in several public art collections including the Museum of Fine Arts, Houston; the Southeast Museum of Photography, Daytona Beach; The National Portrait Gallery, London; and the National Museum of Photography, Copenhagen.